Ray Ibrahim the owner of the Cab company has brought his business to Cleveland in america where he has spotted a growth in the city and has seen a gap for his company to fit. 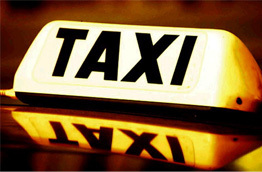 His cabs have been fitted with TVs, GPS system, and credit card readers, not only has he in putted some fantastic relevant technology but his vehicles are all relatively new so passengers are sure to have a smooth enduring ride. This entry was posted in London MiniCab News. Bookmark the permalink.